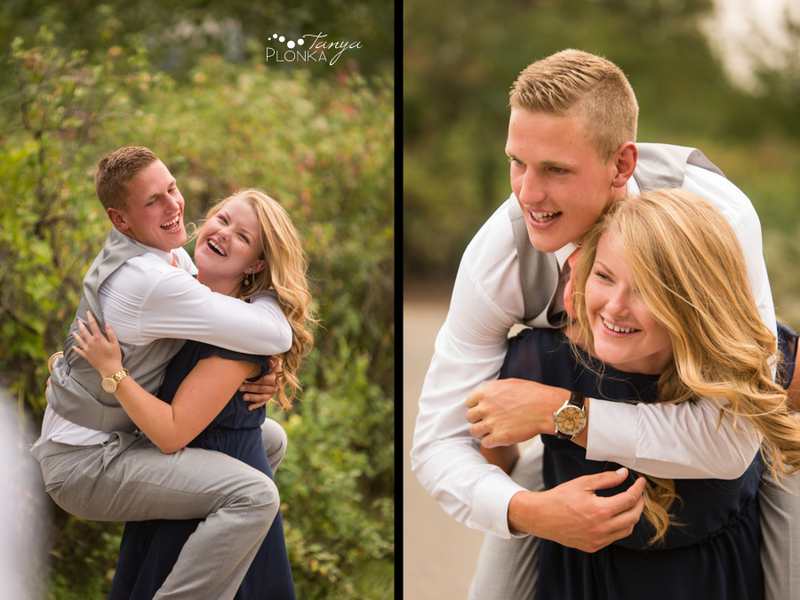 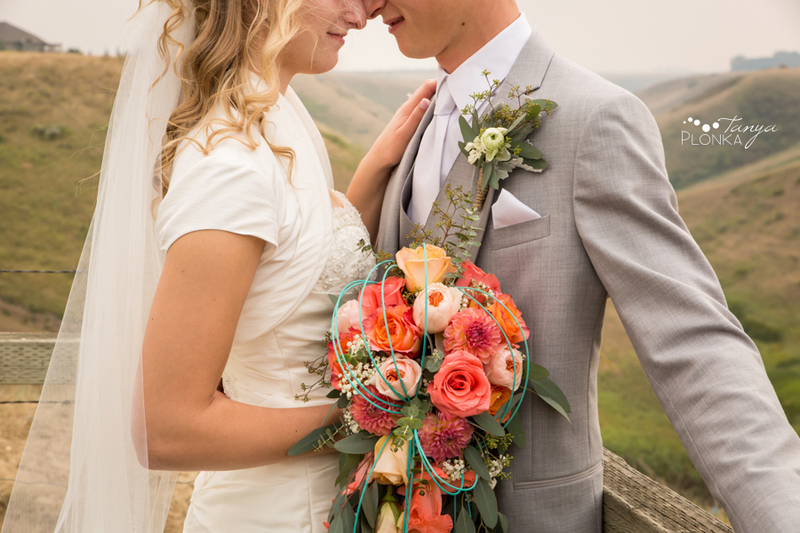 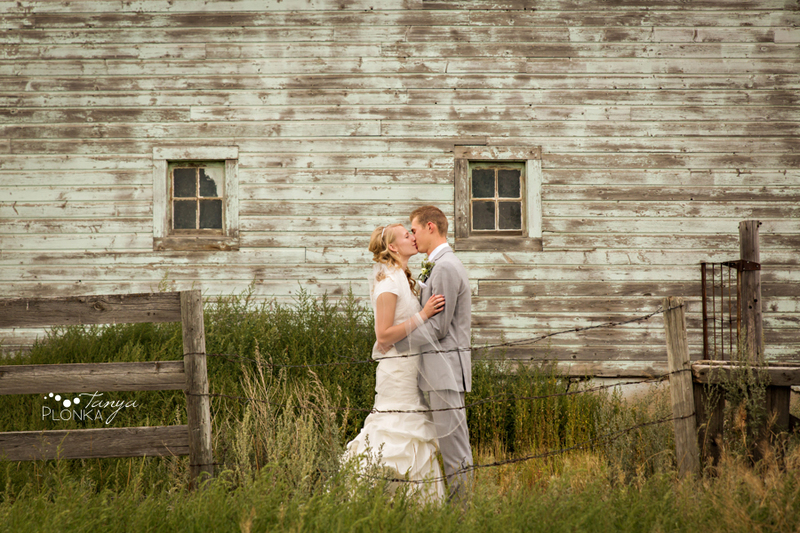 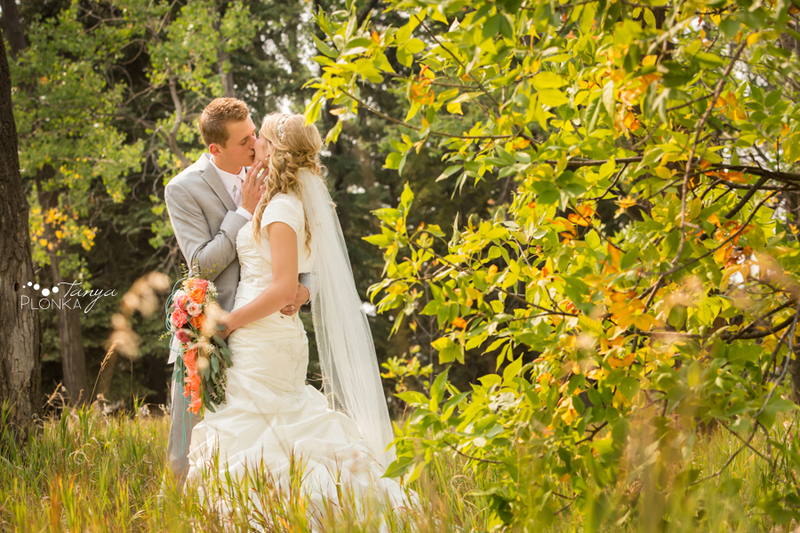 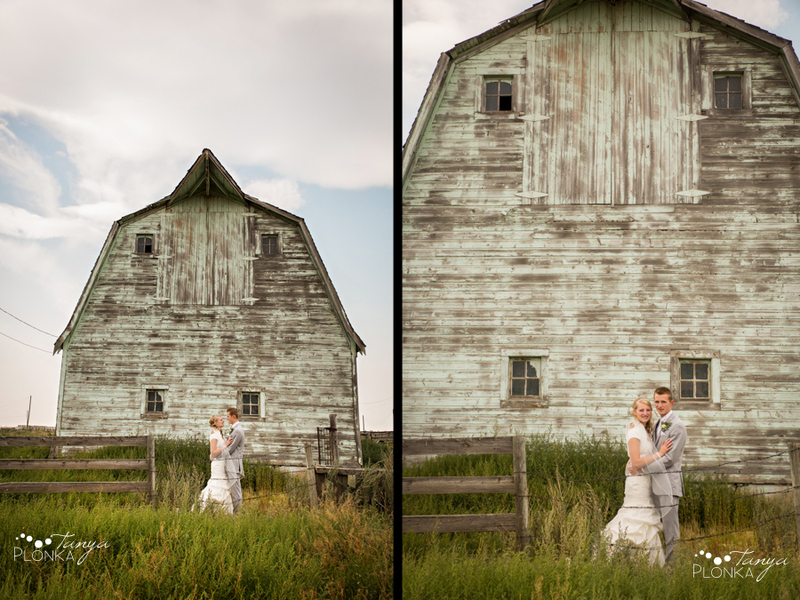 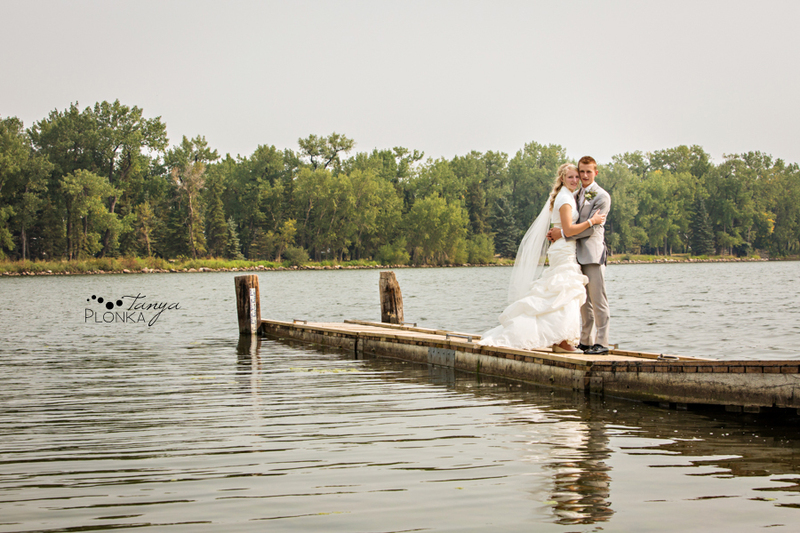 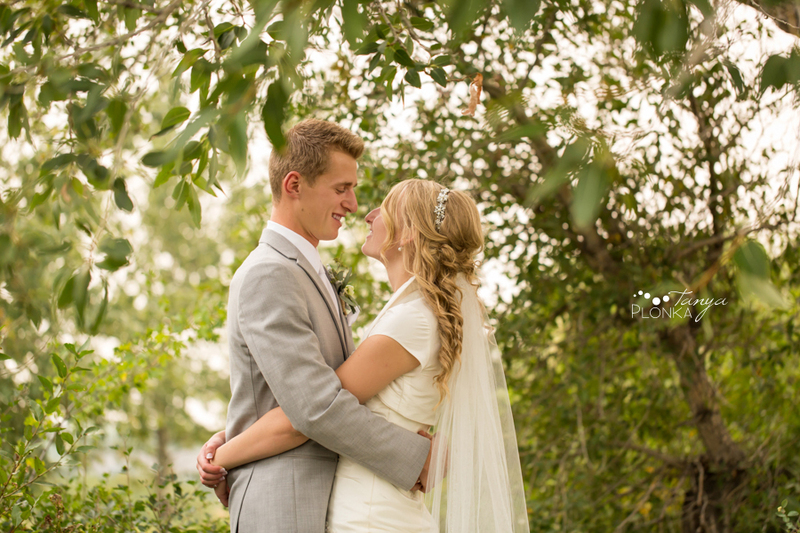 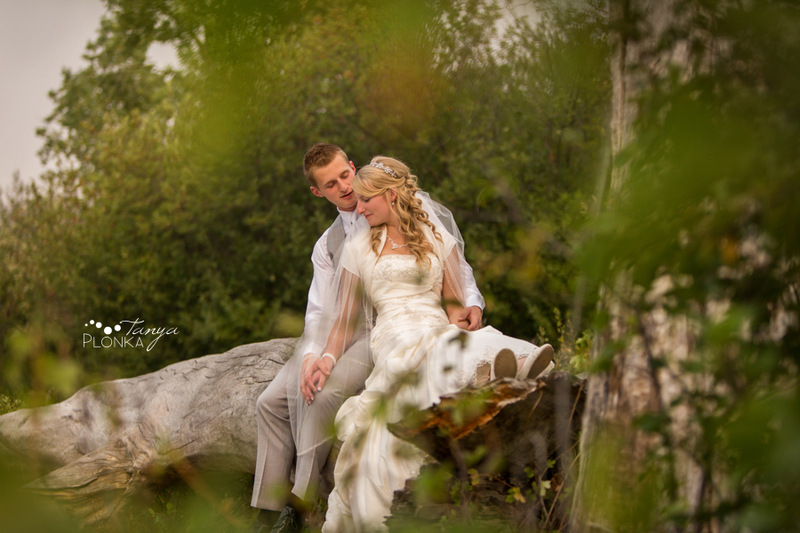 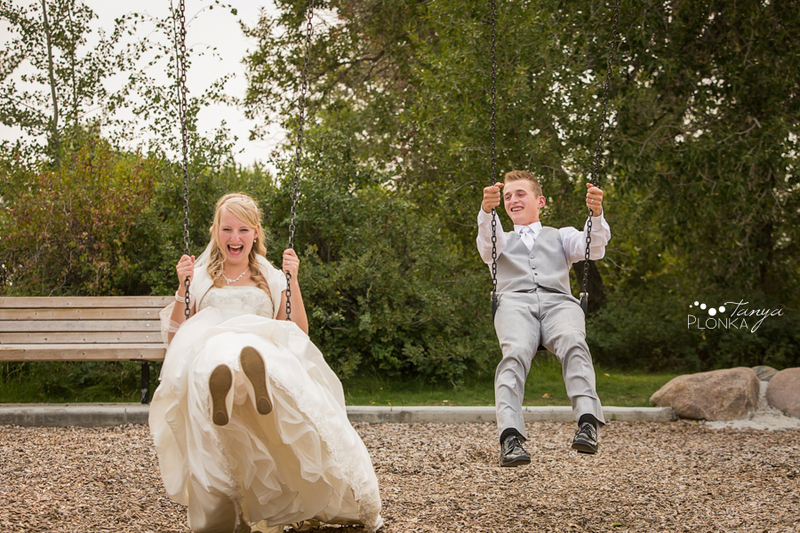 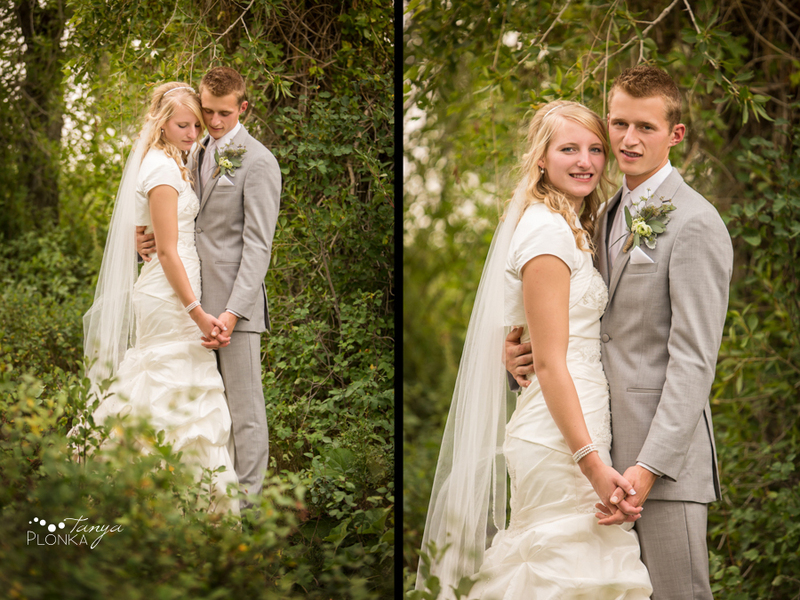 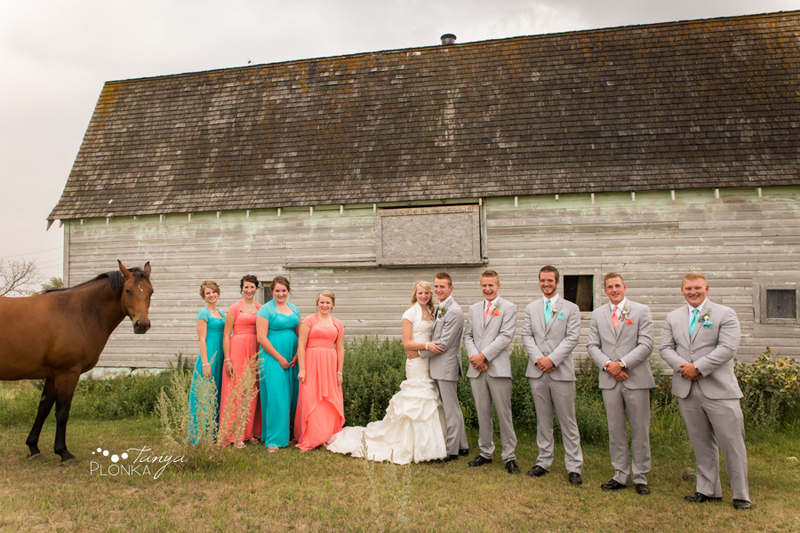 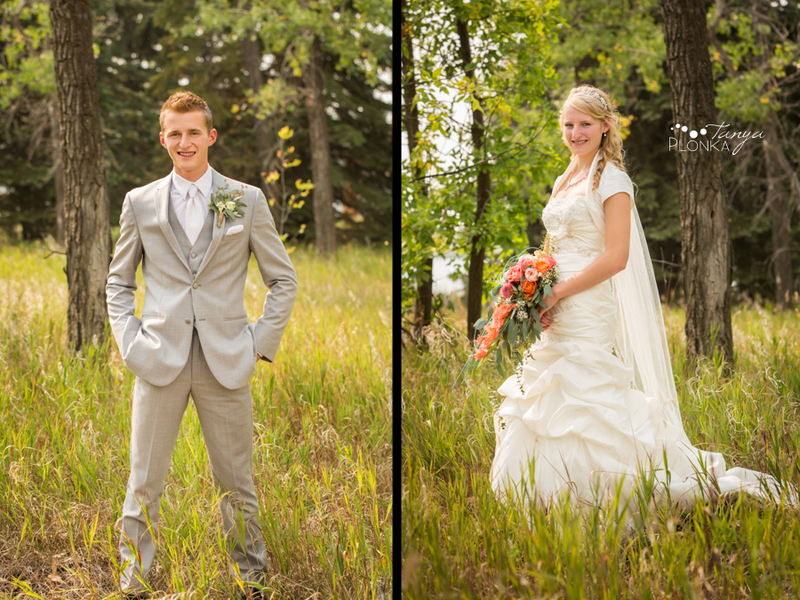 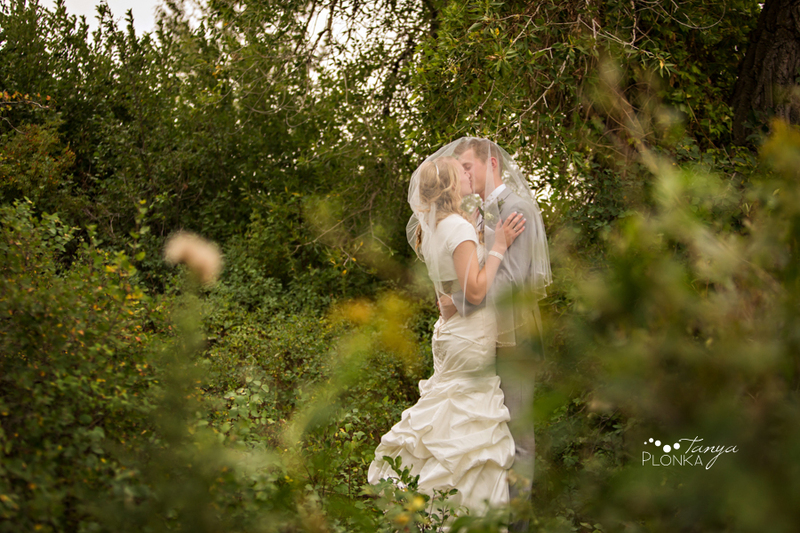 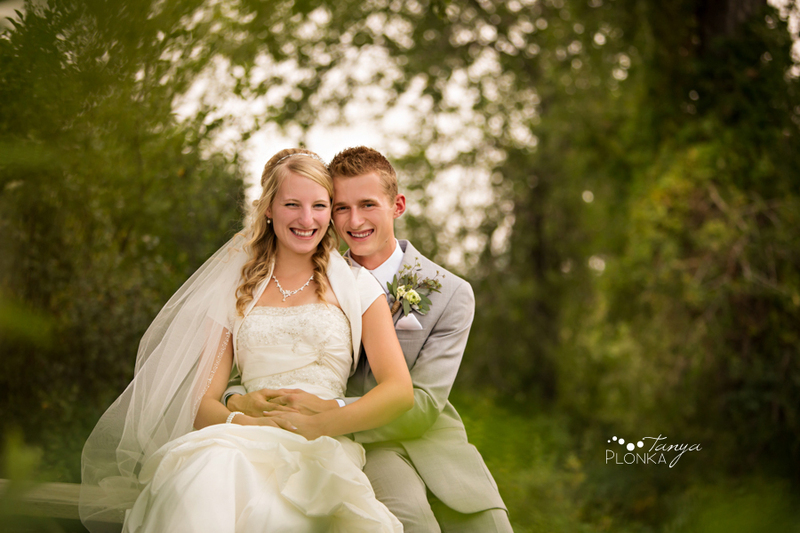 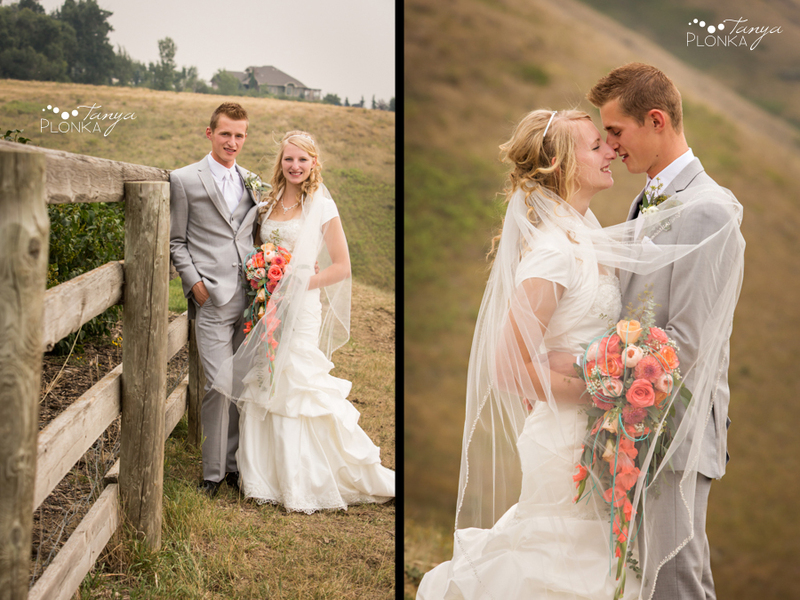 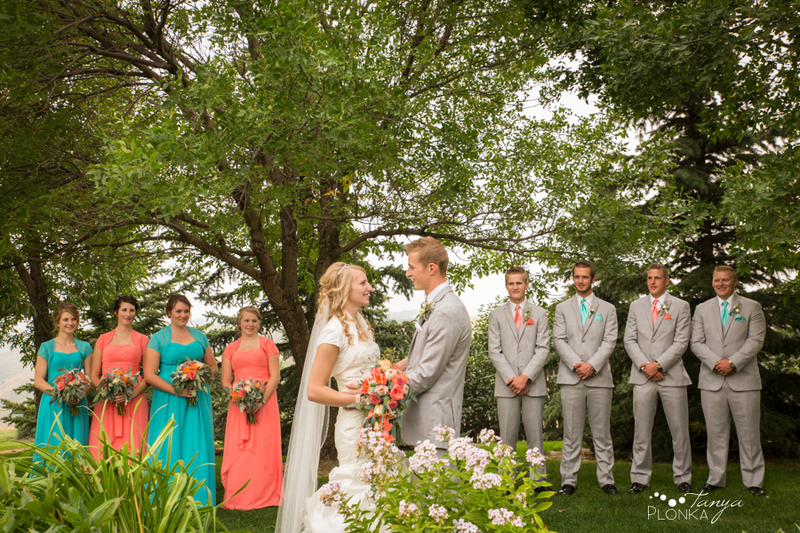 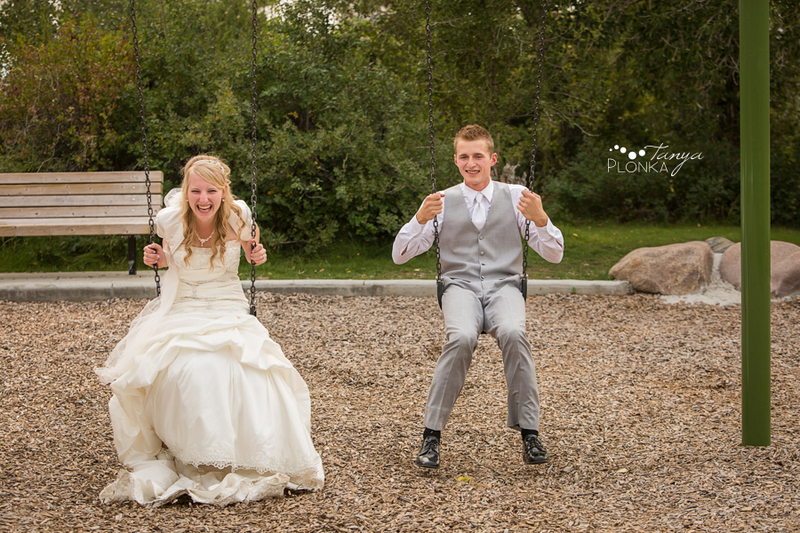 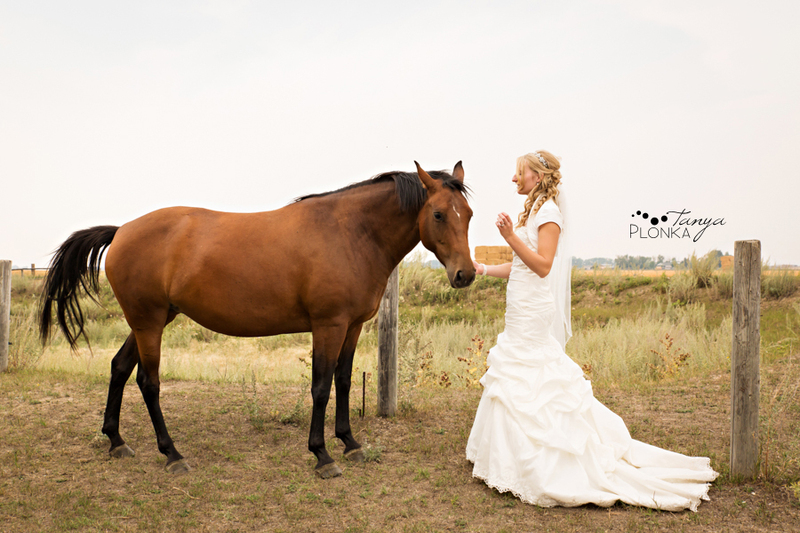 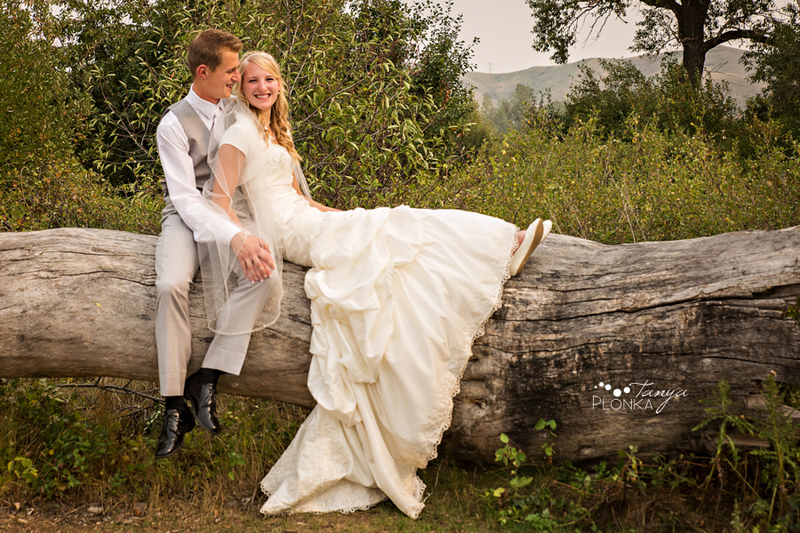 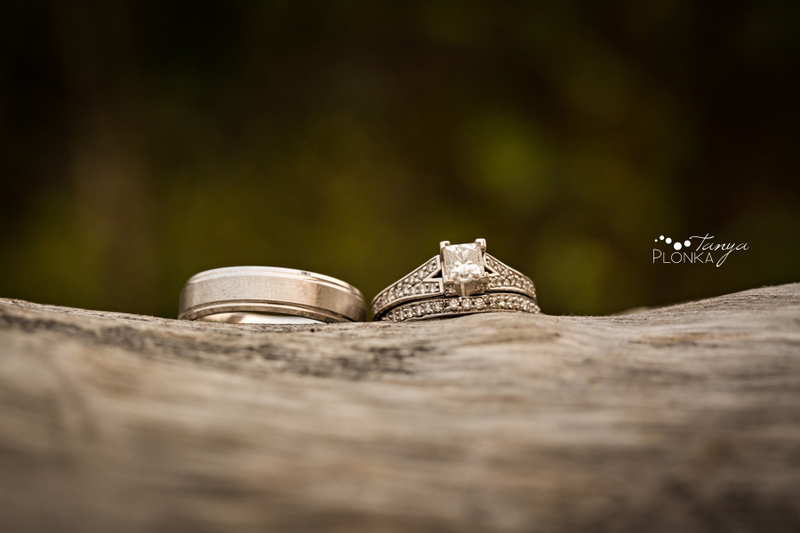 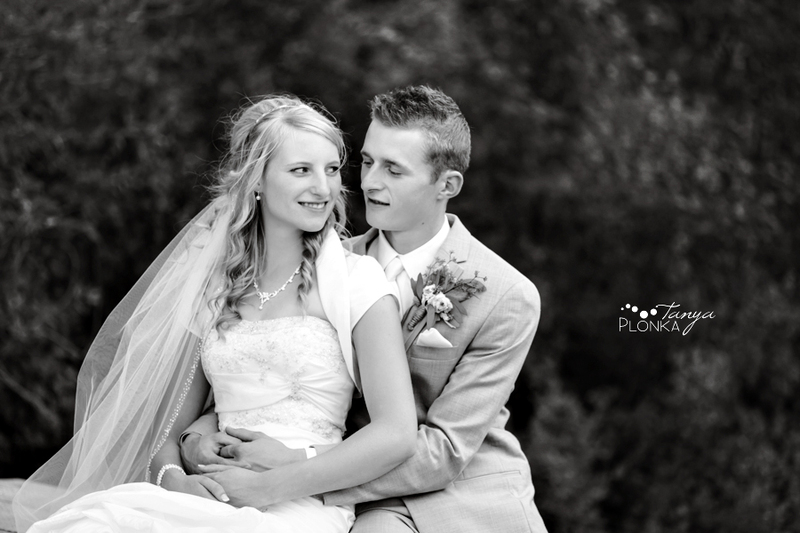 We were thrilled to join Jeremy and Emily for the afternoon for their Picture Butte country-inspired wedding. 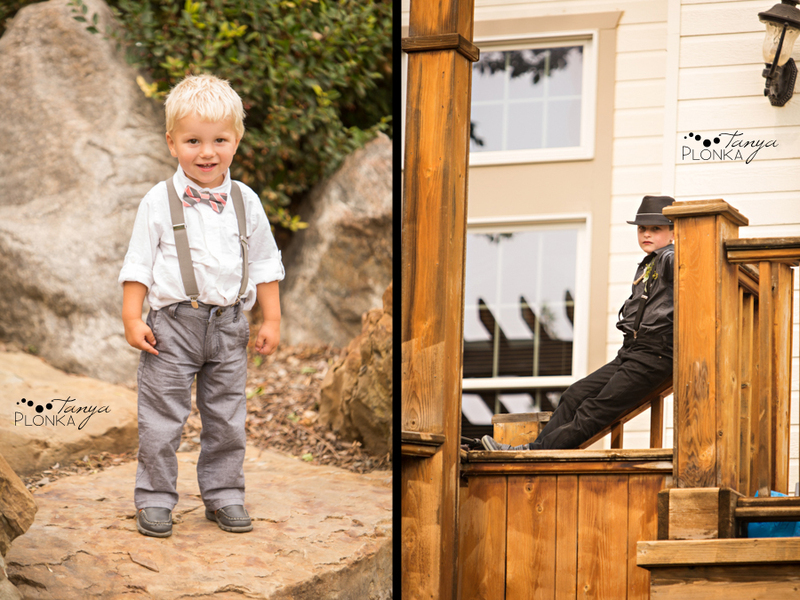 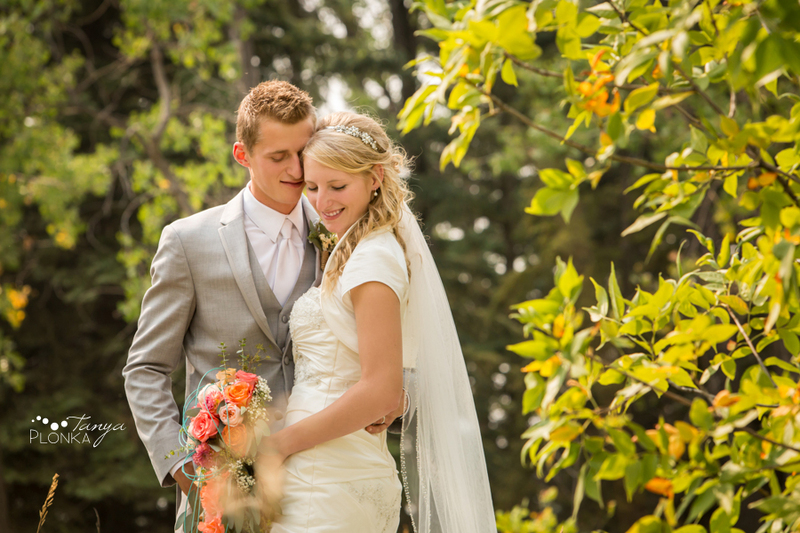 They rocked a classic wardrobe in the beautiful rustic locations we visited. 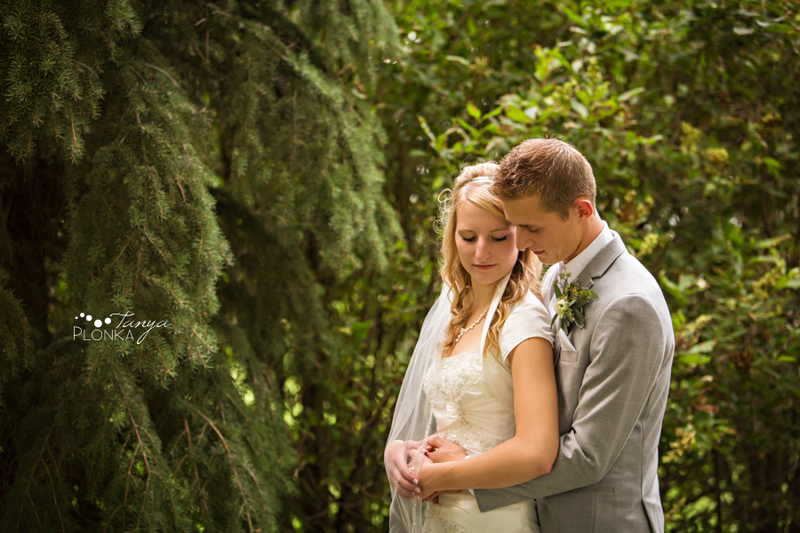 We met up with Emily and Jeremy just after their family lunch. 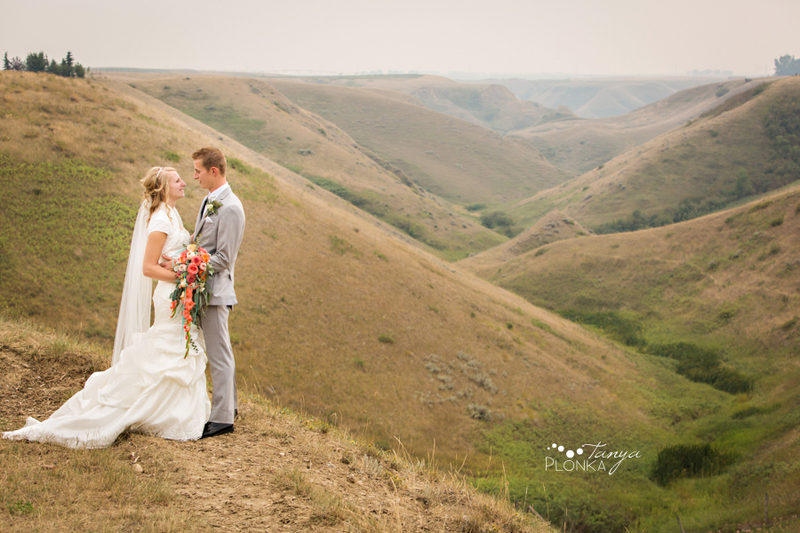 Jeremy’s family home was gorgeous and had amazing views of the coulees in Picture Butte, made even more dreamy with the smoke that hung in the air. 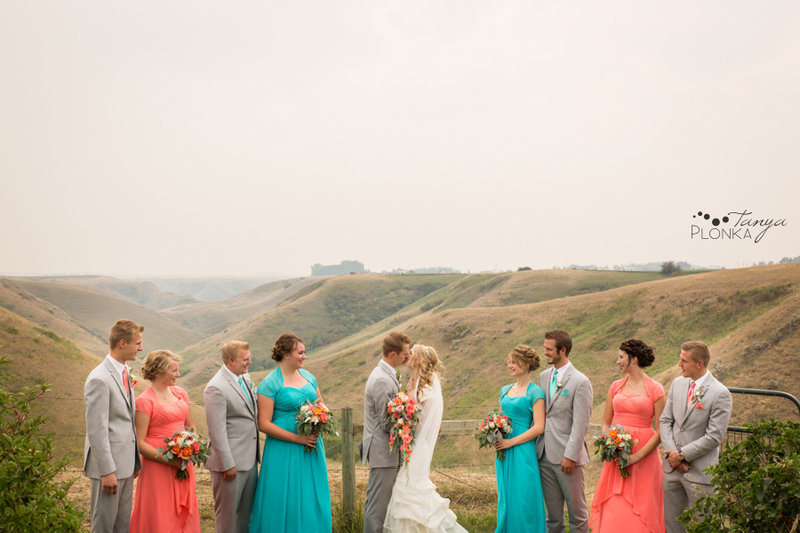 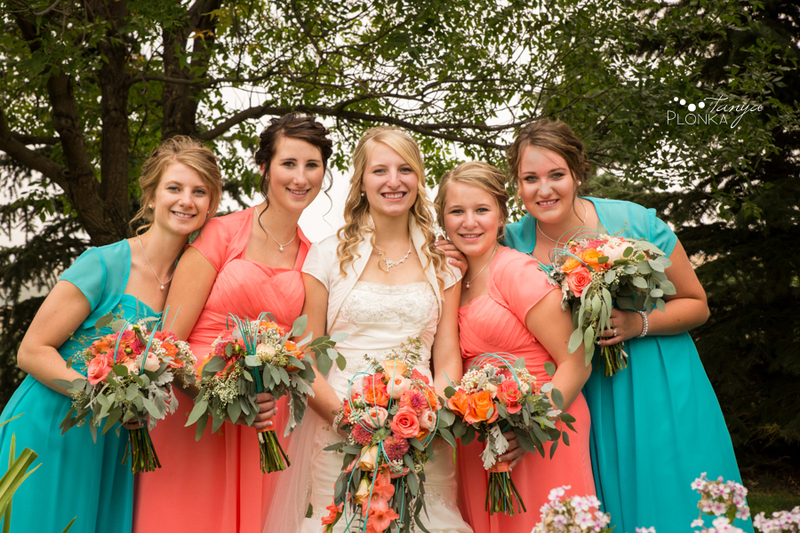 The bridesmaid dresses and bouquets offered a stunning pop of color against all of the subdued tones from the smoke. 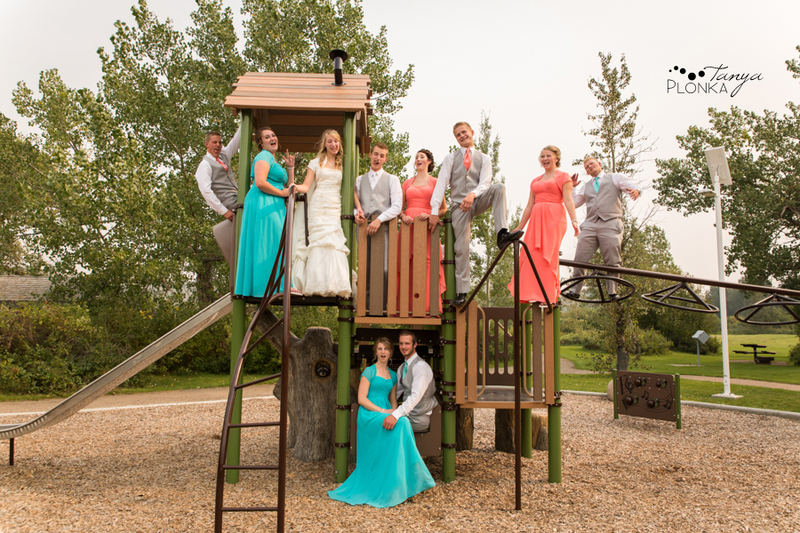 Their bridal party members all brought along their partners (some of whom were also in the bridal party) so everyone had fun as we drove around to the photo spots, especially when we reached the playground and the silliness came out. 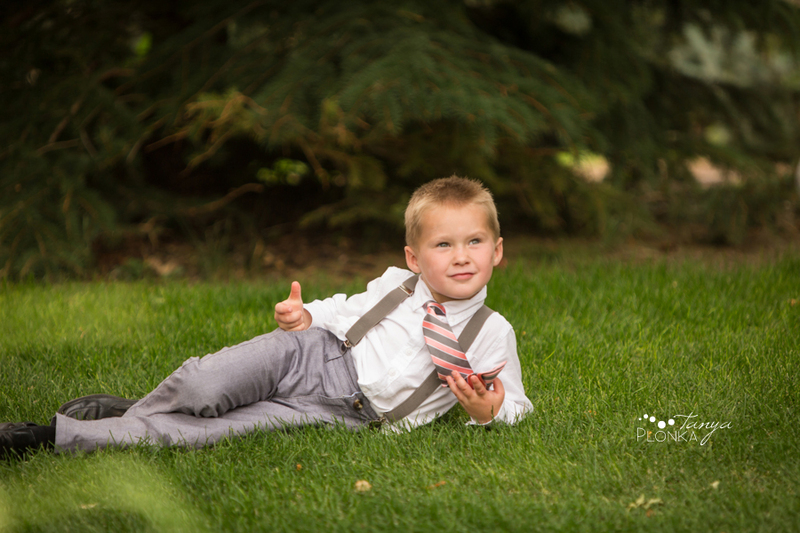 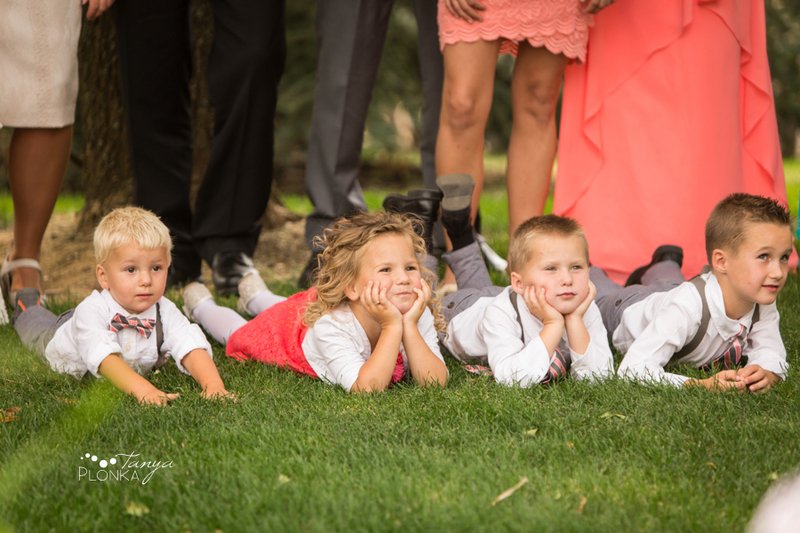 The kids were all so great in front of the camera. 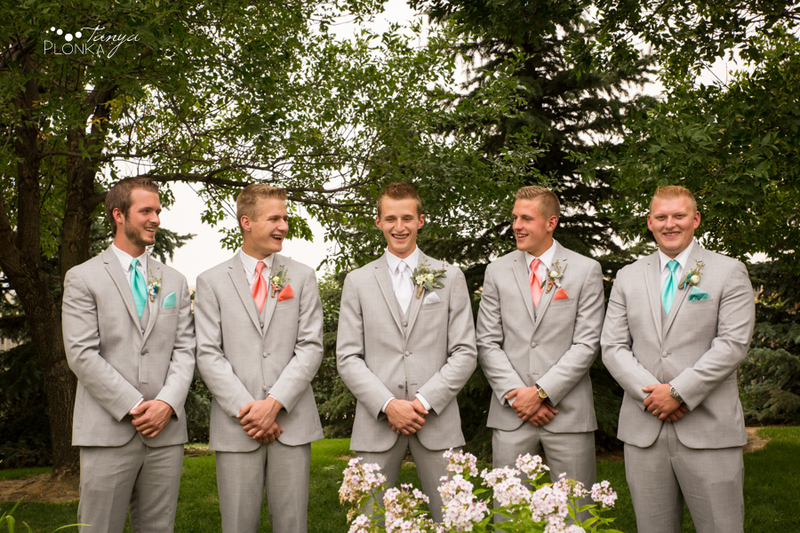 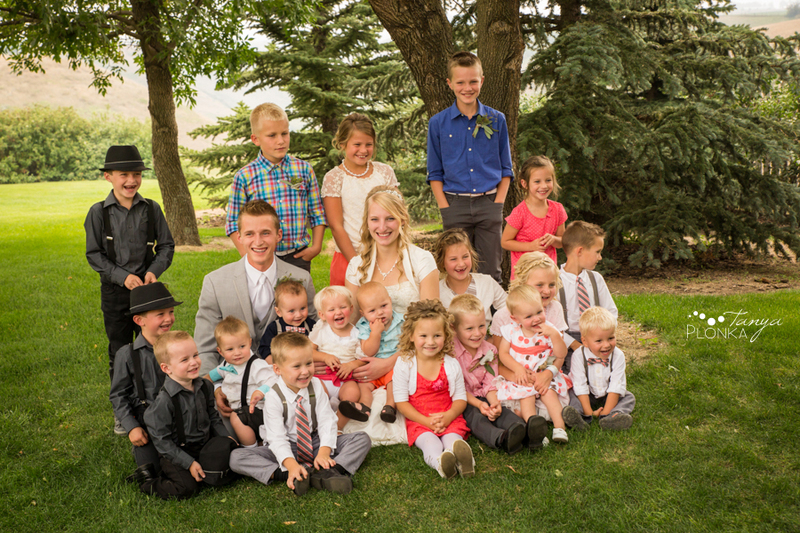 We pulled off a remarkable feat – getting all of their nieces and nephews together in a single photo! 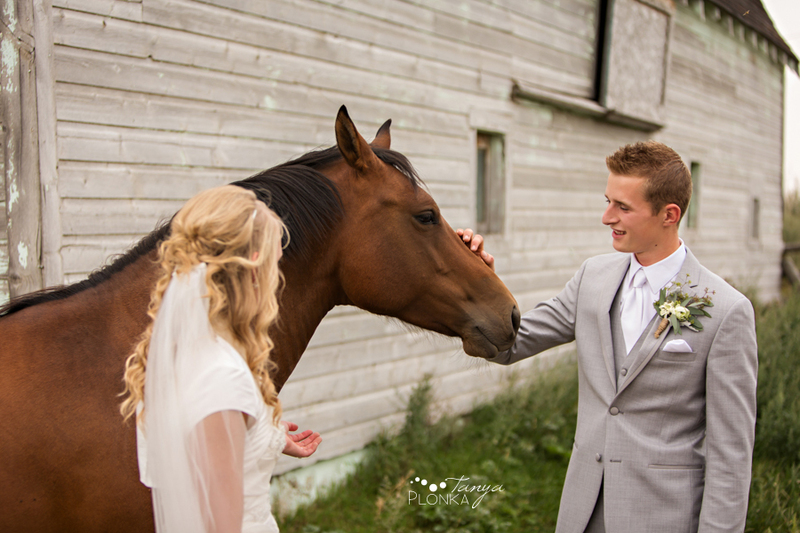 We had help from lots of animals throughout the day. 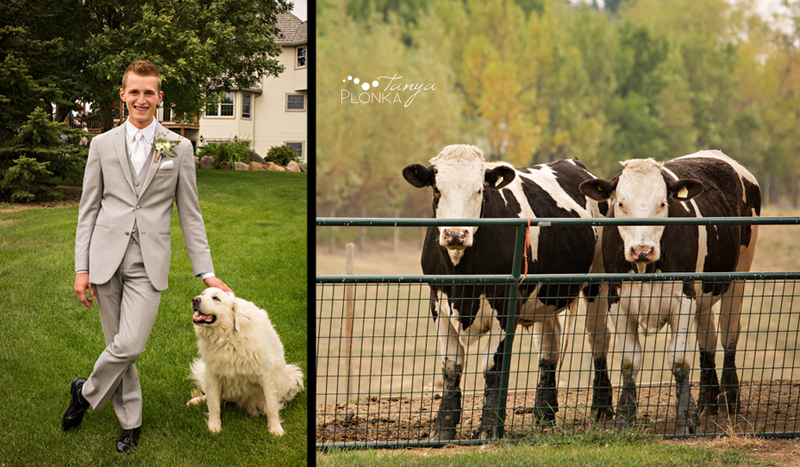 Sugar Bear the dog followed us to assist with family photos and the cows mooed some suggestions. 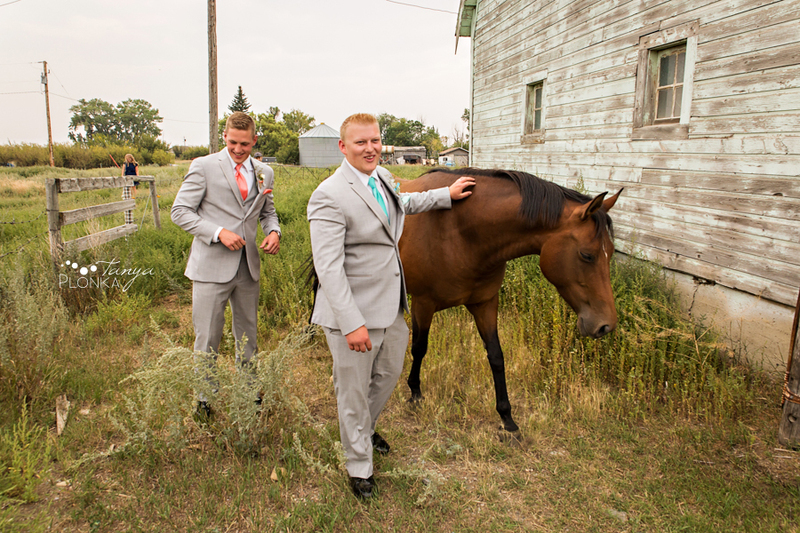 At our next stop, this friendly horse accompanied us to the location to give us a grand tour, and even tried to join the wedding party! 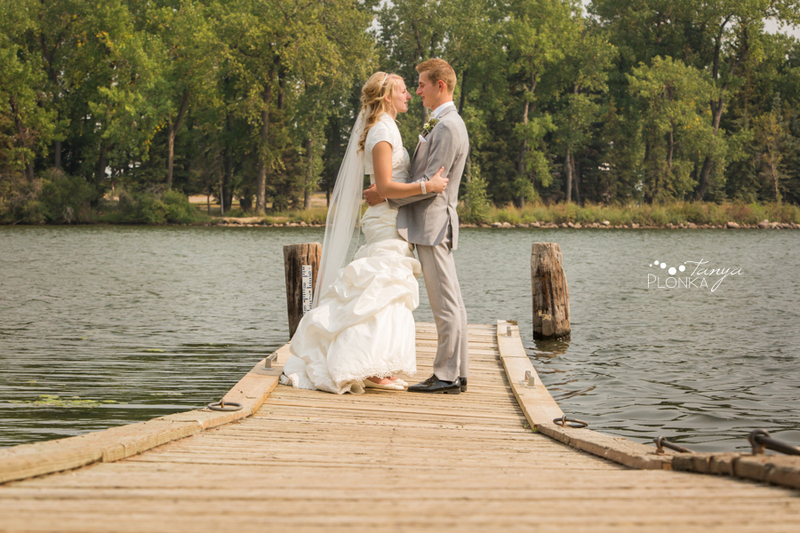 Park Lake was a little less hazy and we had some beautiful touches of sunlight. 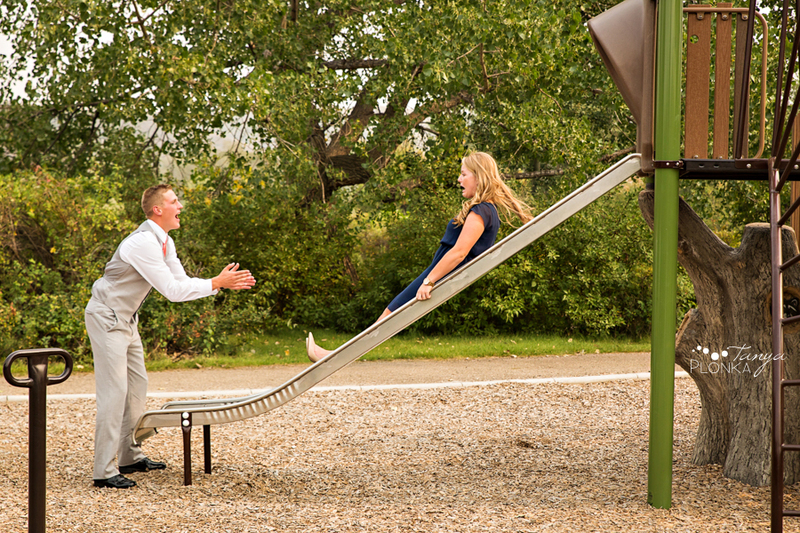 What started as a bathroom break in Pavan Park quickly turned into a playground adventure. 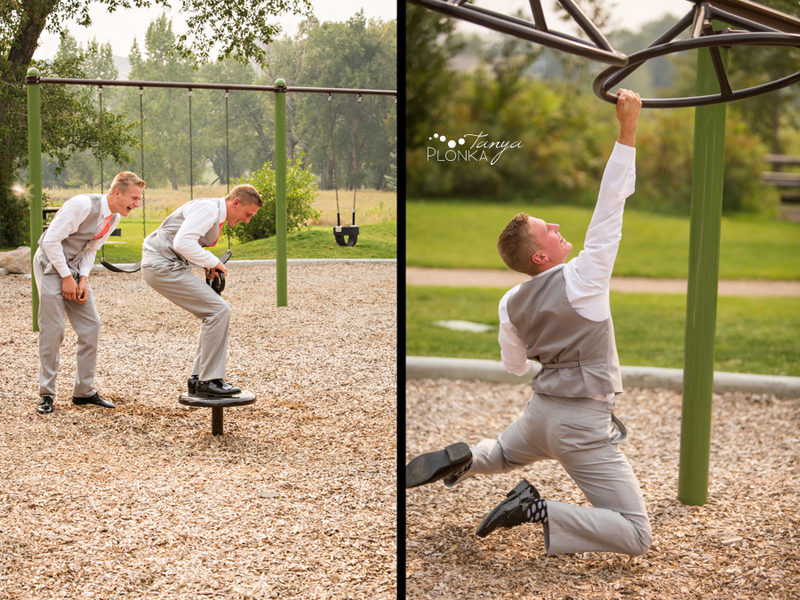 Those are some amazing balancing skills!